When it comes to the poor, NO LIVES MATTER! 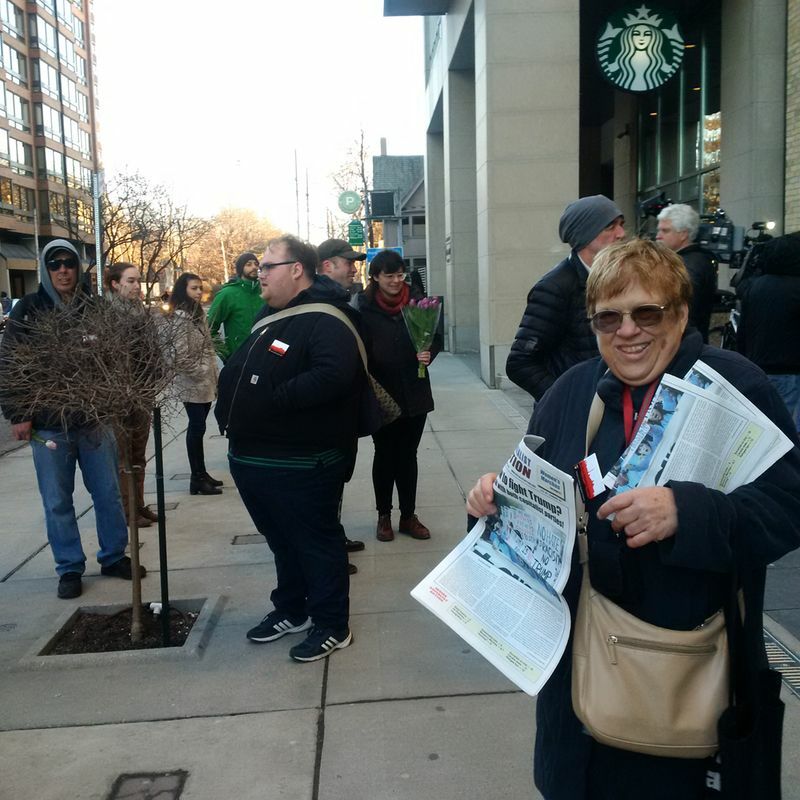 In a memorial for the death of a homeless person, more than 50 people gathered outside of Toronto Mayor John Tory’s luxury condo on February 19. Protesters demanded immediate action to stop the preventable death of homeless people. 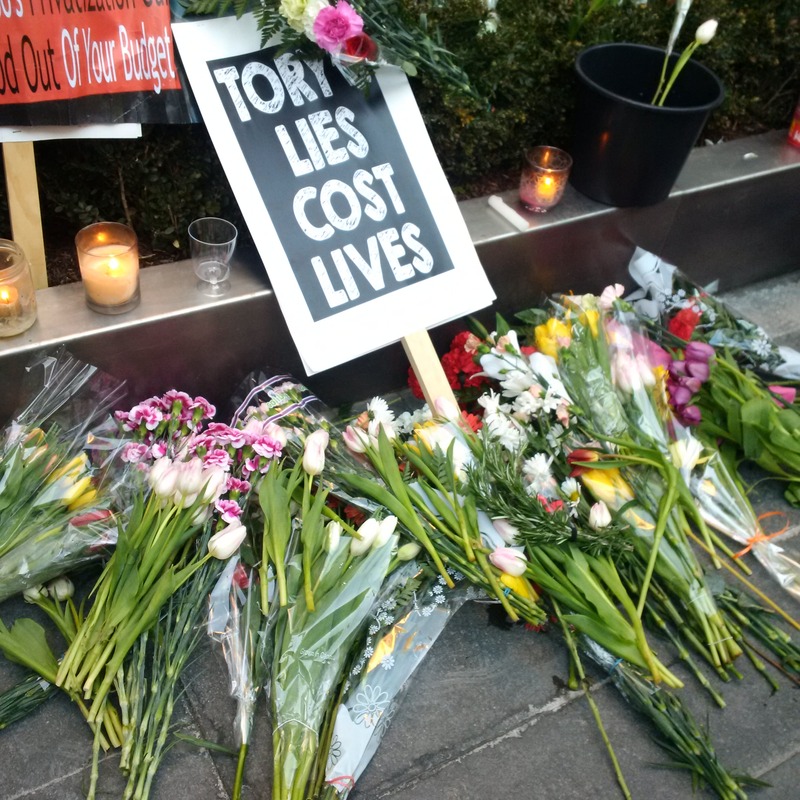 John Clarke of the Ontario Coalition Against Poverty, street nurse Cathy Crowe, and others delivered passionate speeches at the spot where people laid flowers and candles in remembrance. A 28 year old Indigenous man died the previous week. He went to St. Felix Centre, one of the two 24-hour warming centers in Toronto, only to find that it was over-capacity when he arrived. He declined a referral to another location. Instead, he went to a nearby fast food restaurant to warm up. A few hours later, he died in the washroom from what was likely a fentanyl overdose. This death came only days after Mayor Tory was given a petition with over 3100 signatures pleading that Toronto needs more emergency shelters. The signatories urged him to open Moss Park and Fort York armories as a temporary solution. The Mayor also ignored multi-faith leaders, Social Planning Toronto, and 31 other agencies’ appeal for compassion and their call for the provision of additional shelter immediately. 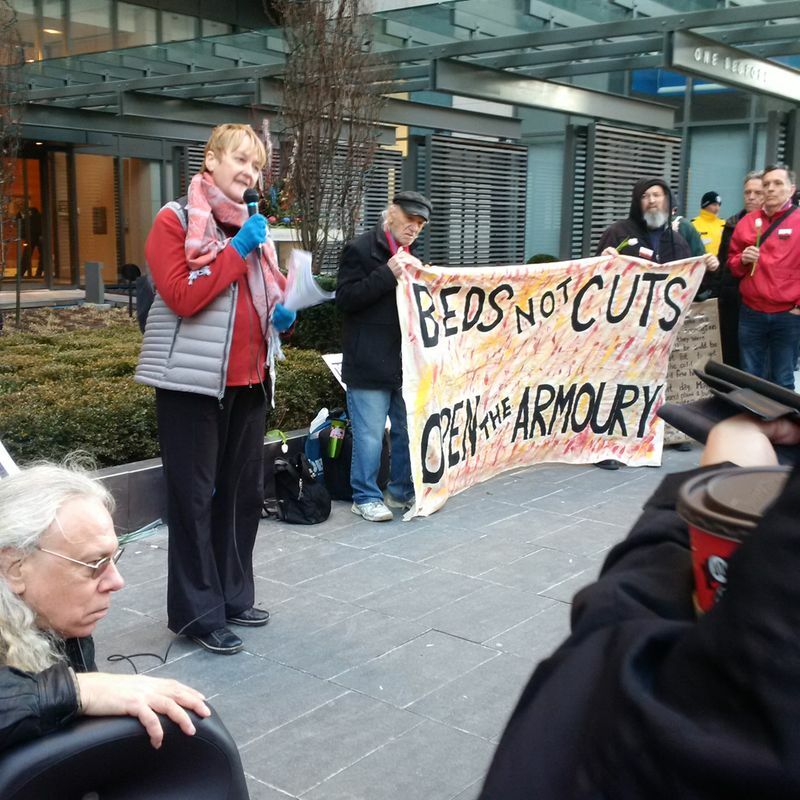 It is a sick irony that the homeless person died while Toronto City Councillors debated a budget that is harmful to the city’s most vulnerable. One item they voted on was a motion to increase funding to the shelter system by just over $1 million, and to increase staffing by 10. Not surprisingly, it didn’t pass. But how could we expect anything better from Mayor Tory’s never ending neo-liberal austerity regime? Over 800 homeless people in Toronto have died since the mid-1980s. This latest one was another totally preventable death. It is a shameful example of what is wrong with the city’s shelter and support systems. 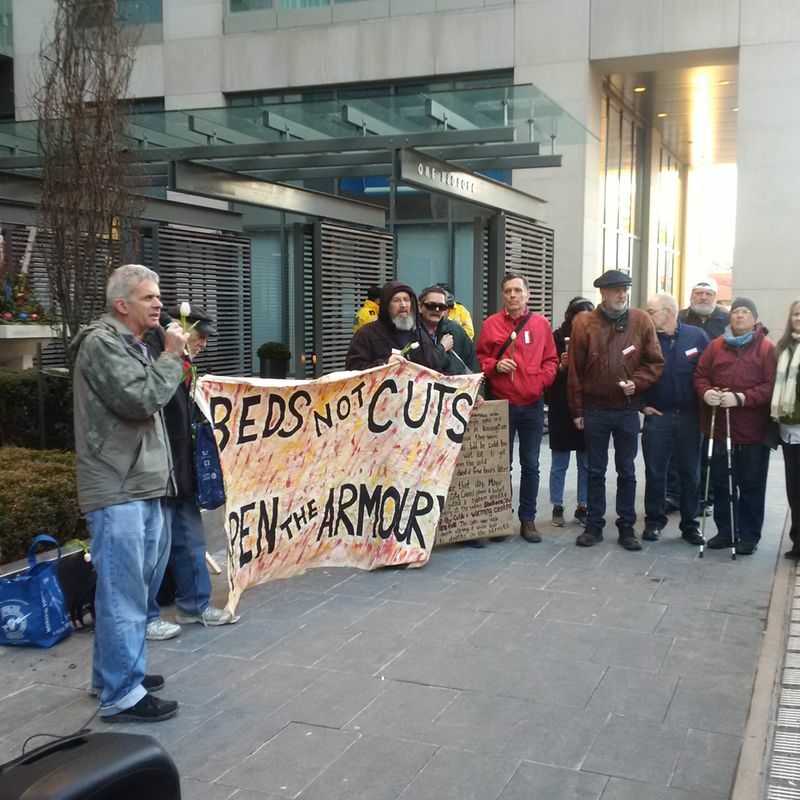 Mayor Tory: Open up the armories! Provide decent housing for all! Provide immediate support and resources for drug users! Stop the war on the poor! Tax rich property owners, land developers, giant corporations and banks! Previous PostA watershed election for U.S. imperialismNext PostHow “inspiring” is Trudeau’s “feminism”?